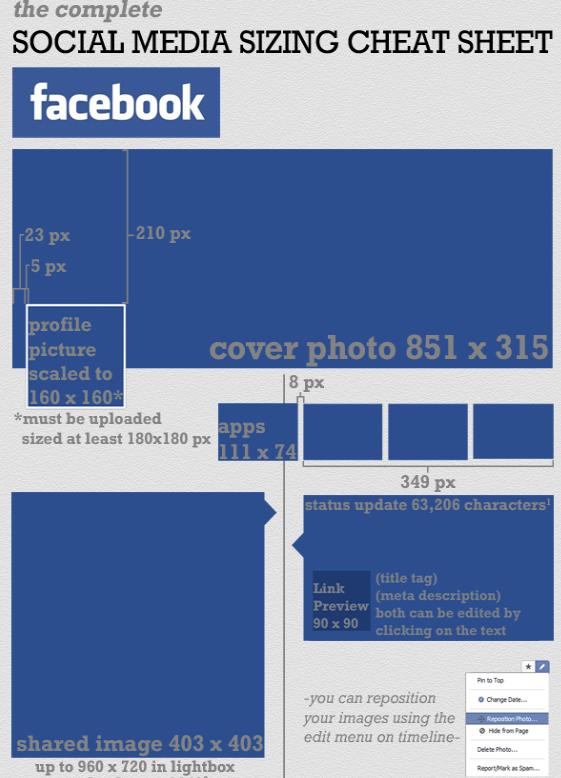 Facebook Timeline Dimensions: this infographic covers image sizes for your Facebook profile, banners, and everything in between (via). Social Media Custom Graphics: this cheat sheet covers image sizes for YouTube, LinkedIn, Pinterest, Facebook, and Twitter (via). It is easy to follow which is why we like it. 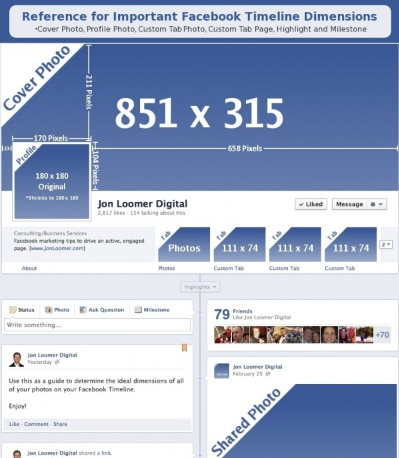 Cheat Sheet for Facebook Sizes and Dimensions: another elegant cheat sheet that saves you time putting your Facebook profile and pages together. 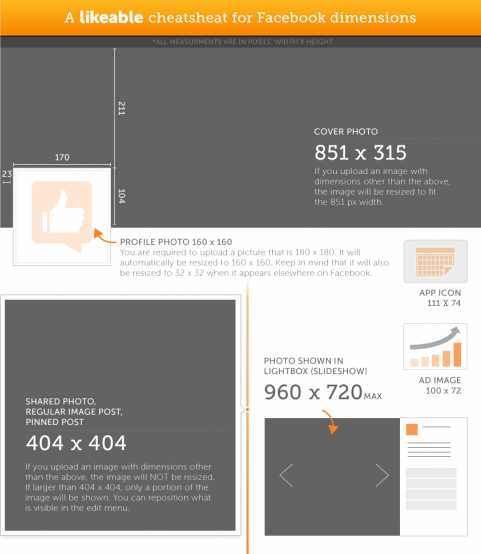 The Complete Social Media Sizing Cheat Sheet: covers Facebook, Google+, and Pinterest. It is not the most up-to-date one but has useful information. 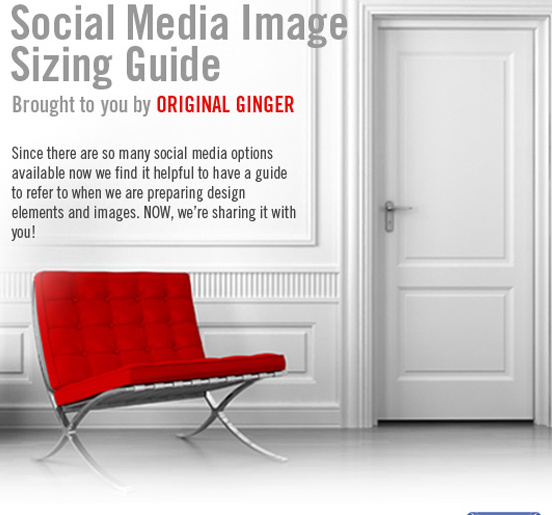 Social Image Sizing Guide: yet another attractive infographic you can use as a reference when putting together your Facebook, Twitter, and other social accounts (by Original Ginger). You are not going to need all these cheat sheets. They mostly cover the same information. 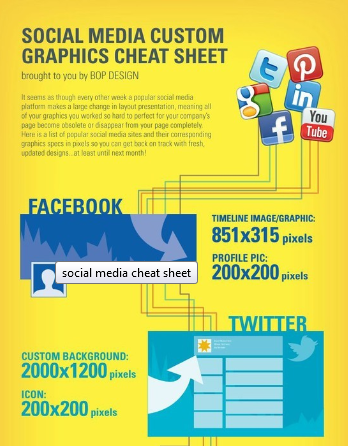 What’s important is these cheat sheets can save you time putting your social profiles together.